Welcome to the home page of Eden's Grove Landscaping Ltd. We are pleased to provide you with a wide range of services to meet all of your landscaping needs. As one of the premier Vancouver landscaping companies we are able to take on large and small residential and commercial landscaping projects. All of our work is done to the BCLNA Landscape Standards and we stand behind our work with our dedication to quality services and products. 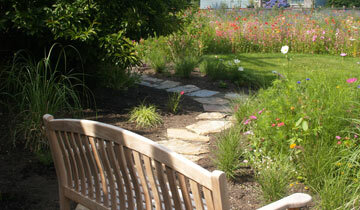 Please enjoy browsing through the site and consider us for your Vancouver landscaping project. If you have any questions or would like to set up a free estimate please contact us via phone or email. At Landscaping Vancouver we are capable of taking on large commercial projects and custom residential jobs. Many of our projects include: design, fences, grass, gardens, patios, walkways, and more. If you have a landscaping project that you would like us to take a look at, do not hesitate to call us to see what we can do for you. Take a look at our landscaping service pages for more details. If you are looking for quality workmanship for your Vancouver Landscape please contact us today to arrange an estimate. We work on projects for residential clients, commercial clients, businesses, and other contractors. We have over 25 Years of experience, are fully insured and all of our employees are covered by WCB. Take a look at some of our work on out gallery page. 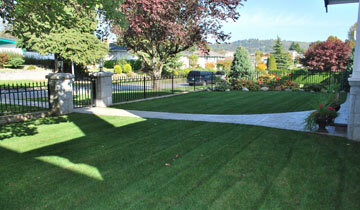 Spring is here and it is the ideal time for Landscaping Vancouver to install a new lawn for you. You can do this year round in Vancouver but to have the most success it is best to install from March till June. 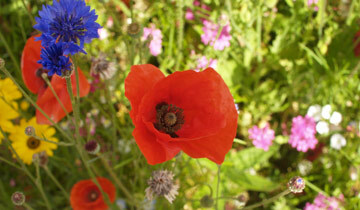 You can chose from either a sod lawn or a seed lawn both of which have their own benefits. Please take a look at our lawn installation service page for more details. We are one of Vancouver's premier pavingstone company. We have all of the tools and the expertise to ensure that your patios, walkways, and outdoor sitting areas are level and drain property. We can advise you on the different styles and what designs might work in your landscape. 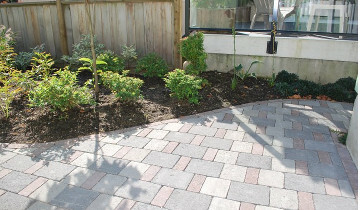 For more details and some pictures of the work we have done please see our interlocking pavers page. Gabor Jozsa, owner of Eden's Grove Landscaping Ltd. has been landscaping for more than 25 years. He received a bachelor’s degree in horticulture from Corvinus University and studied landscape construction at Humber College in Toronto. Having over 25 years of experience, inlcuding 8 years in the Vancouver area makes all interactions with Eden's Grove a friendly and professional experience. In addition to this, we are fully insured and all BCLNA Landscape Standards are followed to ensure the job is done right. Thank you for your interest in Landscaping Vancouver. If you have any questions regarding our landscaping service, please feel free to contact us by email.